In an effort to counter the 24/7 Muslim propaganda machine, North American Infidels (NAI) presents part II in our new Debating Tactics Series. Two of the most prevalent talking points I see Muslims use are the “we respect Jesus”, and “Islam respects Jesus”. These are used in an attempt get non-Muslims to believe Islam is close to Christianity, while being non-hostile towards it. One of the greatest end times signs we see today in the world is the rise of evil and wickedness in the world. Some of the evil and wickedness that we see if not new, but rather a magnification of a long time dormant evil and wickedness. This is of course is true regarding Islam, as the “religion” has been around for some 1,400 years. My Third Encounter With Christianity…. While Muslims do not believe Jesus was crucified, today is the day that Christians celebrate his resurrection. Today is also a day I would like to share a story with my friends here. The third in the “My Encounter With Christianity” series, and one that is either a huge coincidence, or an actual encounter with Christianity. NY: Muslims Takeover Church Building, Tearing Down Crosses! Even though the building was empty, I find this outrageous! It is the equivalent of a bunch of Nazis taking over, and desecrating a synagogue. Florida: Muslim Capitol Day ~ Putting Jesus & Taliban on Equal Footing! In an effort to further expose the anti-Christian, racist, and sexist views of Muslim community leader Ahmed Bedier, we here at Logan’s Warning/North American Infidels are locking arms across the coast with our infidel brothers of the United West. 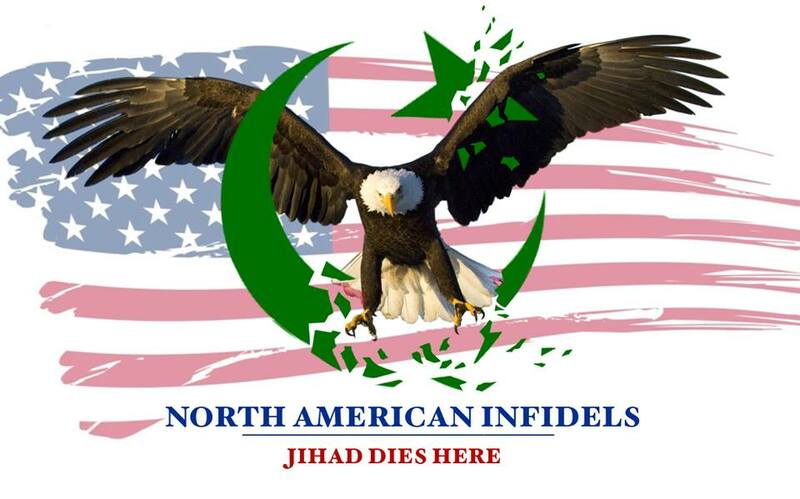 North American Infidels Refutes CAIR’s About Islam Page! Over the years I have found it astonishing how the Vatican cowardly sits there and watches as Europe slowly gets devoured by the Islamic beast. Not only didn’t they do anything to stop Islam, they actually aided in the destruction of Western Civilization. So when the new Pope was elected on March 13th, my first thought was what were his views on Islam? Unfortunately today I found that answer. Hello friends! When you see the smiles on the faces of your loved ones on Christmas Day, or just hear their voices over the phone, I want you to remember, THEY ARE the ones we fight Islam for! I salute each and everyone of you for taking the fight to Islam! Have a great day!